Hi, I have in my hands a failed Seagate 7200.14 3TB hard disk, PN: 1CH166-510, firmware: CC27, Date: 14194, Site: TK. It was used in a NAS with other 3 identical drives, all bought at the same time. The 4 drives formed a RAID-Z1 volume, so luckily I was able to replace the failed HDD with a new one (a 3TB Toshiba P300) and after 8-10 hours of rebuild the RAID-Z1 volume was ONLINE again, without any error. The problem with the failed ST3000DM001 is that it is not recognized by the PC, even the BIOS ignore the presence of this HDD. Before trashing definitively this HDD I had a look on various forums and I understand that a bit more of analysis of a 7200.14 hdd is possible using a serial TTL adapter, connected to the proper terminal pins of the HDD. So I buy the adapter on ebay and connected to the failed HDD. I tried sending CTRL+Z command, but the hdd does not reply. Googling a bit around I understand that this kind of error is very likely due to damaged heads...is this true? So I can trash the HDD definitively? What do you think about? Order 2 more new drives and replace them as fast as possible. I will do. One of the 4 drives has 5 reallocated sectors, so I will start with this. One last question for you experts: what do you suggest between Toshiba P300 3TB and Seagate ST4000DM000 4TB for a lightly used NAS composed of 4 drives in RAID-Z1? Are new Seagate HDDs with SMR technology reliable enough (more than ST3000DM001)? 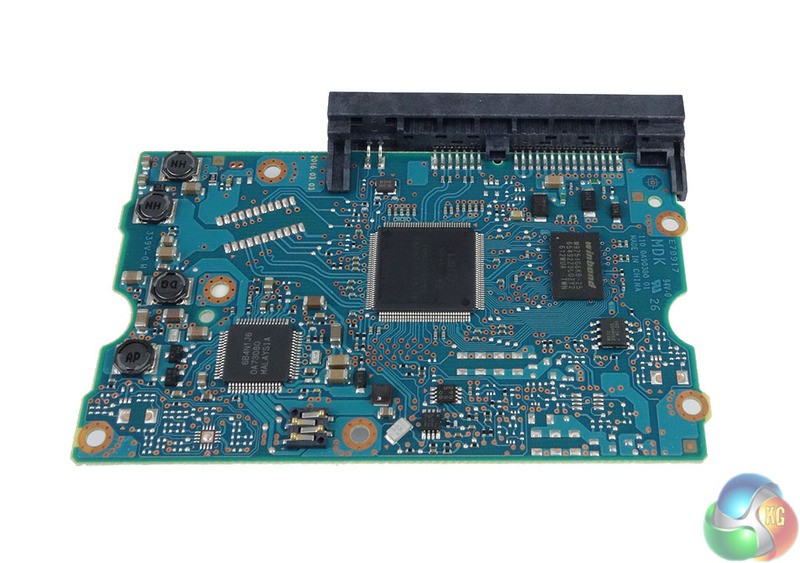 According to a KitGuru review, the PCB part number is OA90380, which is a Hitachi number. This would suggest that the Toshiba drive is a rebranded Hitachi.